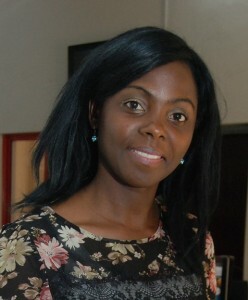 Now a successful journalist in Nigeria, Bukola Ogunsina has fond memories of her time studying in Cardiff. “I arrived at Cardiff in 2007 to take a Master’s in International Journalism at the School of Journalism, Media & Cultural Studies. I liked the architectural structure of the old buildings, particularly the administrative building. I thoroughly enjoyed the practical aspect of studying journalism and still have great memories of my first ‘vox pops’ in the city centre – going around with the camera and microphone with a course mate and asking people what they wanted for Christmas. It was fun! I am now a journalist working in print media. I’m not surprised to find myself in print media because while my study pathway was broadcast, my dissertation was article-based. The title was ‘The United Nations & Conflict Resolution,’ with the genocide in Darfur as a case study. It was not an easy project, however, my passion for security issues continued to inspire me and I eventually got it all together. Upon my return to Nigeria and within a year of gaining employment with Leadership Newspapers Group Ltd, a national newspaper, I won two awards for articles I wrote on defence and tourism. I was awarded the Tourism Reporter of the Year (Print) 2012, Ladi Lawal Journalist of the Year Award and Defence Reporter of the year (Print) 2012, Ladi Lawal Journalist of the Year Award. As a journalist, I work with the Government desk at Leadership Newspapers Group in Nigeria, covering issues that have to do with good governance across all levels. At work I mainly write feature news stories and sometimes write news reports. I anchor some news sections of Government, some of which feature West African news stories, stories about world leaders and governments, and the diplomatic circle. For the foreign pages of Government, I mostly enjoy interviewing ambassadors and high-profile personalities in various sectors of government and looking at their impact on society.